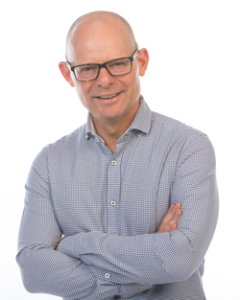 As many of you would know, the long serving CEO of the Recruitment and Consulting Services Association (Australia & New Zealand), Julie Mills, resigned earlier this year and after a thorough search, the RCSA Board recently announced the appointment of Steve Granland to the CEO’s role. I managed to meet Steve at the recent AHRI National Convention in Melbourne and he kindly took some time out from his schedule to answer a few of my questions. Ross: Welcome Steve, tell me a little about your background prior to joining the workforce on a full time, permanent basis. Steve: Thanks Ross. Appreciate the opportunity to chat. My dad was in the Navy, so I spent much of my youth moving from location to location which I believe has given me a good level of comfort with change. I completed both my undergraduate business degree and post-graduate marketing qualification on a part-time basis whilst working with the Gas & Fuel and then ANZ. What has been your most recent role and what are you most proud of having accomplished in that role? My most recent role was as National Manager, Membership and Corporate Sales with the Australian Human Resources Institute (AHRI). In the 5 years I have been in this role, AHRI has been through significant positive change and I am very proud to have been part of that journey and to have played a role. Strong member growth and positive relationship development with key stakeholders are stand outs for me. What about prior to AHRI? Tell me a little about your previous positions and the organisations you worked for? Prior to joining AHRI I was the Executive Manager, Business Development with the Australian New Zealand Institute of Insurance and Finance (ANZIIF) – a professional/industry body representing the insurance and finance industries. Prior to ANZIIF I held business development and marketing roles with the Australian Postal Institute (API) and the Securities Institute of Australia (SIA now known as FINSIA). Prior to joining the world of professional associations I had a 10 year stint with ANZ Bank working across areas such as Treasury, Marketing, International Credit (including a 1 year stint in China on an Austrade Fellowship) and International HR. What personal philosophies drive you each day at work? Honesty and integrity are key personal and professional philosophies for me. These philosophies, I believe, provide the motivation to strive to produce the best individually and collectively. I am a strong believer in leading by example. I think it is important to enjoy coming to work and take pride in what you do. Have you had personal experiences with the recruitment industry either as a client or candidate? If yes, what were those experiences like? Yes from both sides. Whilst sometimes the profession can get a bad rap, my experiences have generally been positive. I have found the individuals I have worked with to be professional and responsive. What do you see as the major challenge for you as the incoming RCSA CEO? Whether it is a new role at the RCSA or any other association, the challenges, I think, are pretty similar. I need to understand the needs of stakeholders; understand how the RCSA operates as a business and begin to roll out the key initiatives of the strategic plan. The RCSA has many stakeholders, all of whom are demanding, vocal and rarely satisfied. How are you intending to get to know these stakeholders and understand their issues? I have spent most of the last 15 years working in the world of professional associations/industry bodies across banking, finance, insurance & HR – all of which have their share of personalities. The most important thing to remember is that associations exist for the good of the industry. I do intend to get to know and listen to as many stakeholders as I can in my first 3 – 6 months via meetings, phone, emails, member surveys and whatever other channels are available. The RCSA has a very important role to play in lobbying Federal Governments of both political persuasions. How do you intend to approach this part of your new role? Firstly, I will need to understand, quite clearly, what the position of the RSCA is on the issues by working with all key stakeholders. I will then look to develop existing relationships and if required (via a process of gap analysis) develop new relationships. It will also be very important to ensure that RCSA members are kept informed of all developments related to lobbying. Listening skills and an understanding of sensitivities will be paramount. In my experience there have not been any joint AHRI/RCSA initiatives of any description recently. Do you see this area as having any potential? If so, in what way? I believe there are opportunities for RCSA and AHRI to collaborate on a range of activities/initiatives going forward. Given my background with AHRI, clearly opportunities with AHRI may be a little easier to pursue, however, I have no issue with pursuing any opportunity with any association provided it is in the interests of the stakeholders of the RCSA. Recruiters are now starting to understand and utilise social media and online networks to strengthen their business. What’s your view on how social media and online communities are being, or should be, utilised by businesses and member organisations? I believe there is definitely a place for social media and online networking for businesses and member organisations. In the last 12 months, AHRI has become actively involved in using these mediums (including Facebook, Twitter and LinkedIn) to communicate to its stakeholders. Utilised the right way, these mediums can provide a range of stakeholders with access to information, tools and networks they may not have been able to access in the past. Outside of work, what are you major hobbies or leisure pursuits? I am married with 2 children (age 13 and 15). Family is very important to me and they tend to take up much of my spare time. I do enjoy food and wine and jog a little to try to counteract the effects of the food and wine. We have always tried to travel every couple of years to give the kids some broader life experiences. Anything else you would like to say prior to ascending to the hot seat on Monday 7 June? Many years ago I was presented with my membership certificate of the Australian Institute of Banking & Finance by a senior manager at the ANZ Bank. This was my first introduction to the world of associations and I still recall that day with pride. I am a strong believer in the value of associations to the individual and the industry the association represents. I am looking forward to the fantastic opportunities and challenges provided via the role of CEO of the RCSA. Thanks for your time, Steve and all the best for your new role.